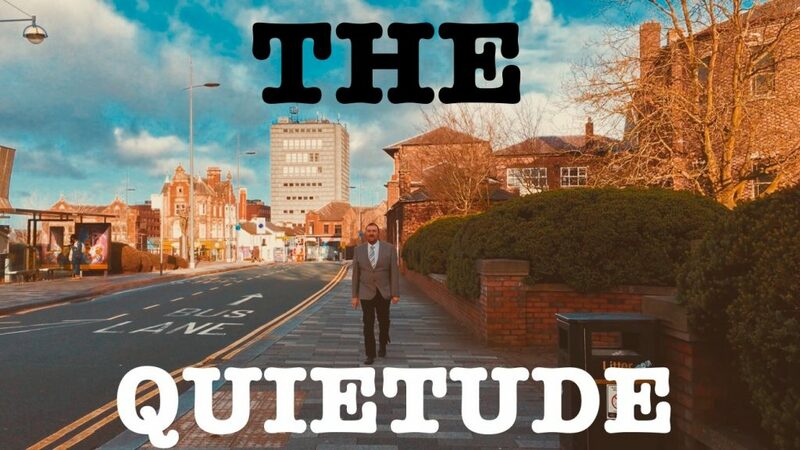 The Quietude is a new silent film produced by local film maker Fuwad Abrar. He hopes to turn this into a feature film in the near future. He has so many other ideas to tackle with this type of storytelling method. 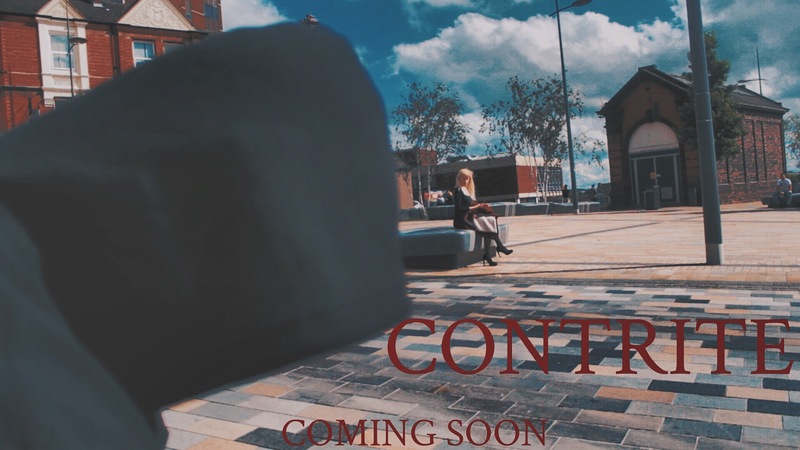 He is going to try and get this showcased to film festivals and see where it goes from there. We caught up with Fu and asked him a few key questions about his new film. You can watch the film on YouTube here. Why make a silent film ? The answer is simple, I couldn’t afford a good sound recorder haha. The truth is that I have been a fan of silent cinema since I was a kid. I have studied this religiously when I was at college and university and became fascinated with this type of storytelling. My previous few films have been very fixated on dialogue. I just wanted to step away from that for a bit. I wanted to explore something new in a sense to experiment myself as a filmmaker. Or in this case, a visual storyteller. Before I even wrote a word on the screenplay, I researched extensively on how they filmed this back in the 1920’s and 30’s. I even read Charlie Chaplin’s biography to help me inspire the roots of this amazing form of storytelling. I was looking back at the films and tv shows that I grew up watching when I was a kid. Even some of my favorite films which have massive amounts of dialogue such as Pulp Fiction or The Dark Knight. Those films in particular, have amazing silent scenes which I felt should be explored more as a short film. For example, in Pulp Fiction, the scene where Bruce Willis is walking to his apartment and sees John Travolta there with a gun. I just re-watched it and never realized that most of that scene is in fact silent and it creates excitement for the film. Another example is the opening sequence of The Dark Knight. The famous bank robbery scene starts with one minute or two of silence. I wanted to explore what it would be like having a film like that where music plays as a key in character traits and emotion. The film that made me realize that this could be a possibility was the Ryan Gosling film Drive. I remember when that film came out back in 2011, and modern audience started to complain that it wasn’t like a typical Fast And Furious film. I can’t really blame them, because it was marketed as that. But, watching the film myself, I got to realize just how unique and brilliant it was and that was due to one thing: The use of silence. There is ambience throughout and some scenes of great dialogue. Ryan Gosling barely says a word and creates a enigma to his character and his motive. I figured that was such a unique perspective to approach on a film like Drive. It felt like that we need more films where there’s silence and give the audience more of a saying than the characters themselves. It was a risk which I was willing to take, but art is risk. I would doubt that it would work, but at least I tried. How long did it take to film this ? The entire filming took only one day. Well, in specific terms, we started at 9am and finished at 3.30pm, so 6 and a half hours. It was a fast and simple shoot and that’s exactly what I wanted. A film that had a simple and basic story, and I wanted to film it as you do it with a couple of friends. It was tricky at first, because Murphy’s Law is always an occurrence on set. Everything that can go, goes wrong. First one being, as we were shooting on my iPhone in 4k, the battery would die within half an hour. We would get people looking at us and thinking what we were doing. We were supposed to film in a location, which we weren’t allowed to. We managed push by and get it done and went better than expected. How much planning went into this ? The planning was again very basic. I wanted this to be an easy and fast shoot. It was, but there were cases when things never go to plan. Our initial idea was to film some scenes in a library, but we couldn’t get any permission to film. So, we improvised and filmed in a house instead. The reason I approached this is because I miss them days when it was just me telling actors what to do on the spot and film. The past few films that I have made, have had extensive planning, which I still love, but this one was more of a step back from that. I just wanted to go on location, film the scene and move on. And that’s exactly what we did. The locations I wrote in mind. 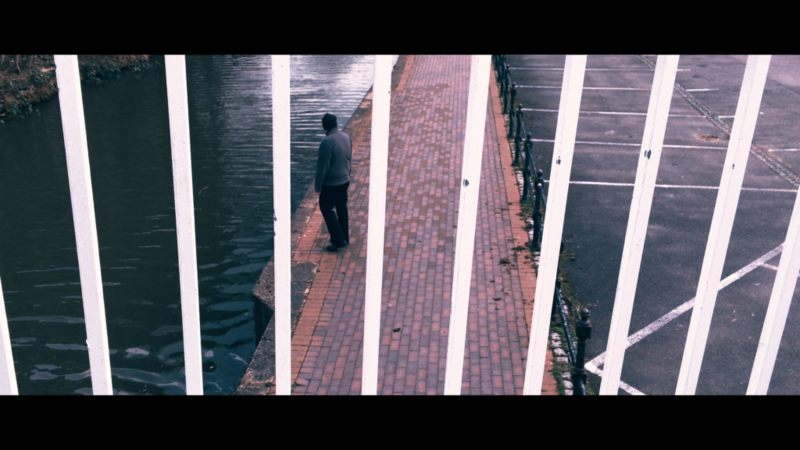 I said to myself, if there’s one thing that I am having is that we film at that canal by the Civic Centre. The whole idea started with Man on that bridge. If that scene had never been filmed there, then I felt like the film wouldn’t have worked. This is a good example of what is possible on a smartphone, is there any advise to give to people who dont have the professional kit but do have a decent smartphone. That’s the thing, smartphones, in particular iPhones have brilliant cameras which have a a high resolution of 4K. This was not going to be the case initially when we were beginning to start filming. I had wanted to film it on my Canon DSLR camera, which I filmed on most of my previous projects. The issue was the camera decided to die on me and it was a heartbreaking moment, as I loved that camera. I was left with the decision to either buy new camera or stick with filming on my iPhone 6s. I did the latter and I am very very happy that I did. It saved me time and budget. I watched many short films on Youtube to get inspired by this. I also watched 2 feature films which were shot on the iPhone. One was a filmed called Tangerine which was shot on the iPhone 5s, and the other was Unsane which was shot on the iPhone 7. I became so inspired by these amazing pieces of work, that I figured that this might be the future of filmmaking. Unsane is directed by one of my favorite directors Steven Soderberg, who directed the Ocean’s Trilogy, Traffic, Magic Mike, Contagion and many more great films. The advice I would give to anyone who wishes to do filmmaking and use their phones is to definitely start soon as possible. I would recommend a cinematic film camera app. 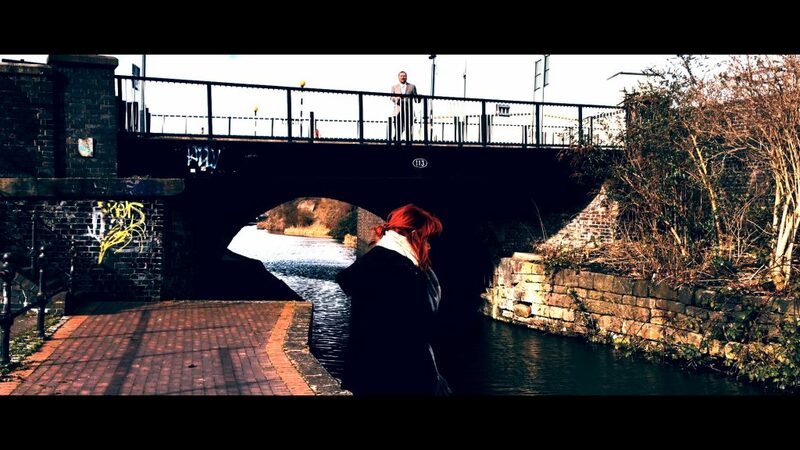 I filmed The Quietude on the ProCam app which is I think £7 from the App store. This is because this app helps you do manual setting, such as manual focus, exposure, ISO, shutter speed, frames per second and white balance. 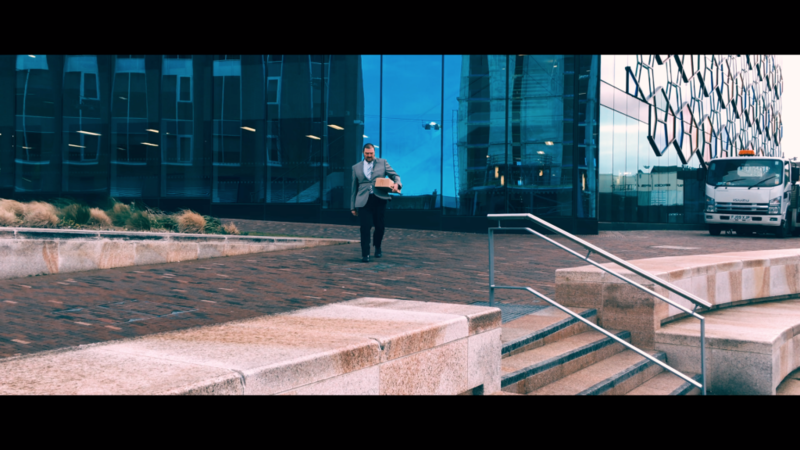 There are some scenes which is shot on my standard iPhone camera, but we still managed to disguise it during post production and people thankfully haven’t noticed. At the moment there has been 300 odd views in a few days, which is good for any YouTube video, whats the feedback been so far ? The feedback has been beyond incredible. I could not believe it. People have been praising the film and it has cherished my heart. This was my first short film since 2015 The Program which was my university short film. The past few years, I have been so fixated on making feature films, that I never realized just how much I missed making short films. It was a massive relief for me, because I was told by many people that this film won’t reach an audience and that I am a terrible filmmaker. It is their opinion, but harsh negative opinions can bring you down. I just have to learn that you can’t impress everyone. As long as you are happy with the film, that’s all that matters. I am very happy with this film and I am even more happy with the positive responses for the film. The hard work has paid off. There has been some people who have found the film a bit too slow for them. Which I understand as well, but that was the initial idea to begin with. The reason for the slow paced is to create an atmosphere within the film. I felt like if I just made it fast paced, cut after cut after cut, the film would not have its momentum. I just wanted the film to breathe and let the visuals help keep an atmospheric environment. This entry was posted in Local Film and tagged Fuwad Abrar, The Quietude on 2019-03-10T21:13:27+01:000000002731201903 by NSTV News Team. On the anniversary of the death of her best friend, a woman gets stalked by someone and has somehow linked to her friend death which leads to question was her best friend murdered. Starring : Megan Shields, Gerald Maliqi, Kane Morrell, Jessie Aartse-Tuijn, Karl Reynolds and John Ayres. They filmed it mostly in and around Longton and Hanley. Some in Fenton and Stoke. 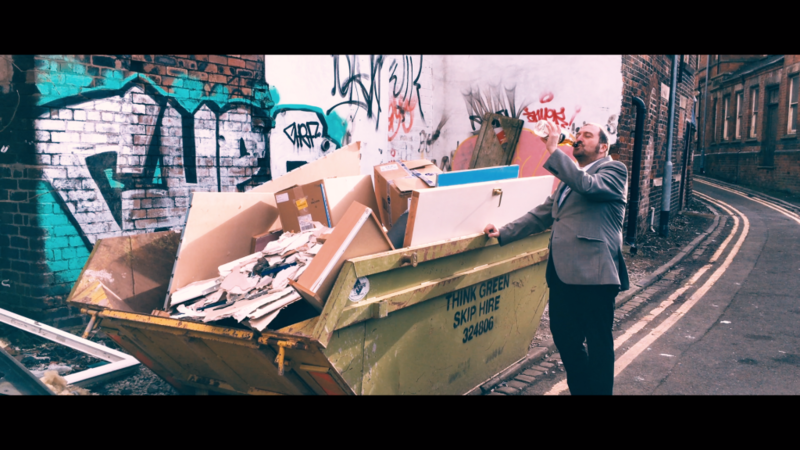 Filmed it in 6 days with a £450 budget which they raised on indiegogo. They have just finished filming last week and now just at the early stages of post production. The first trailer is on-line right now (see below) and we are expecting a new trailer at the start of October and a possible Halloween screening date. This entry was posted in Local Film and tagged Contrite, Fuwad Abrar on 2016-09-24T12:35:31+01:000000003130201609 by NSTV News Team.